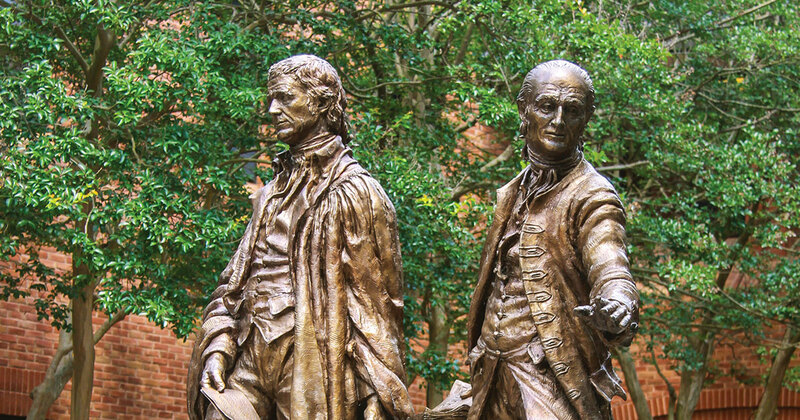 In recent years, William & Mary Law School has provided over 100 summer fellowships annually. Eligible organizations include 501(c)(3) nonprofit organizations, legal aid offices, public defenders, prosecutors, U.S. Attorneys, government agencies, courts, and judges. Organizations outside the U.S. qualify if they are legal aid offices, prosecutors, public defenders, government agencies, courts, judges, or nonprofit organizations that would qualify for 501(c)(3) status if they were U.S. organizations. Nonprofit organizations with IRS status other than 501(c)(3) are not eligible. Partisan political organizations, partisan political activities, and lobbying are ineligible for funding. Private public interest law firms are also ineligible. Bell Public Service Fellowships: Funded by a Law School endowment. Dean’s Fellowships: Funded by money allocated by the Dean of the Law School. H. Stewart Dunn, Jr. Civil Liberties Fellowships: Funded by the family of H. Stewart Dunn, Jr., a prominent lawyer in Washington, DC, to acknowledge his dedication to the protection of civil liberties. Eligible organizations will contribute to protection of civil liberties granted to U.S. citizens by the 1st Amendment of the U.S. Constitution, protecting voting rights, and restoring felons' rights. Hendel Family Fellowships: Funded by Philip Hendel, William & Mary Law Class of 1964. Pinter Fellowships: Funded by Douglas Pinter, William & Mary Law Class of 1977, for organizations assisting gay, lesbian, bisexual, or transgender clients and/or for projects dealing with legal/policy issues involving sexual orientation, sexual identity, or AIDS/HIV. Purintun Fellowships: Funded by Marc Purintun, William & Mary Law Class of 2000, for organizations assisting gay, lesbian, bisexual, or transgender clients and/or for projects dealing with legal/policy issues involving sexual orientation, sexual identity, or AIDS/HIV. Virginia Law Foundation Fund for Justice and Education Public Service Internships: Funded by a generous grant from the Virginia Law Foundation for positions in Virginia. The Virginia Law Foundation promotes through philanthropy the rule of law, access to justice and law-related education. Virginia State Bar Criminal Law Section: For positions in Virginia involving criminal law. William & Mary Public Service Fund Fellowships: Funded from money raised by the student-run William & Mary Public Service Fund. Courts and judges are ineligible for funding. 1. Organizations interested in assistance from William & Mary law students via our summer fellowship programs are encouraged to notify the Office of Career Services by using one of the forms here or via email, fax, or postal mail. 2. To apply for funding, students must follow the procedures and include the documentation described in the Law School's summer public service fellowship application. 3. A full 10-week fellowship is $3,600. We are very fortunate to have a broad array of funding options; however, the application process is very competitive. Each year, the demand for funds exceeds the supply. Based on past trends, it is likely that some applicants will not receive funding. In addition, to fund as many students as possible, many successful applicants will not receive the maximum fellowship amount, but instead will receive fellowships less than $3,600. 4. There are two application deadlines: in late November for second-year students seeking “early decision” funding, and in late March for first- and second-year students seeking funds under the “regular decision” allocation process. Exact deadline dates are provided to students at the beginning of each academic year.